So it’s been thirty days since the new year has come upon us again. We all decided to start that resolution to change our lives. How has it been? Did we even start? Have we jumped off already? Do we feel like it was too ridiculous of a resolution to keep on going? Well I’m hoping you all are on top of your resolutions or at least started them. For two and a half weeks after Christmas, I was in NY/NJ enjoying a vacation with my daughter. Other than sightseeing and enjoying time with family, my most favorite thing to do on vacation is eat! Who doesn’t love to eat? Well, knowing that in a few weeks I’d be on a very rigorous and strict diet, I thought why not indulge? Well indulge did I do! Authentic pizzerias, traditional Filipino food, diners, fried foods, and White Castle were on my list to enjoy while on vacation. Hey, they were all foods I missed living out in Las Vegas and all food I’ll most likely miss once I start my diet. Mind you, two months prior were the holidays, so I definitely have had my share of calorie-filled foods and a diet was what was inevitable. 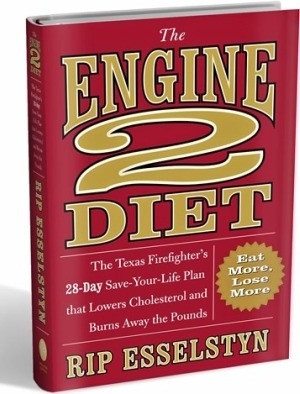 So on the 16th of this month, I began my Engine 2 Diet from author and firefighter, Rip Esselstyn. Rip is the son of the highly acclaimed, Dr. Caldwell Esselstyn, a pioneer in heart disease prevention as well as an advocate for a whole food, plant-based diet. Well, I jumped into the Firefighter 28-Day challenge where I eliminated meats (animal protein), dairy, cheese, and processed oils from day one. I thought, “If I’m going to be extreme, I might as well jump in head first!” Well, along with about twenty team members and a handful of customers at the Whole Foods Market in Henderson, NV, we started this challenge head-strong. Everything, burgers, pizza, sushi, traditional pasta, traditional salad dressings, and all I loved to eat and cook was out the door. Now, up until now, I read the books, watched the documentaries, and understood the lifestyle. I knew what I was getting myself into. But do we really know what we get ourselves into until our lives were immersed in it? So needless to say, it’s been a hard two weeks. I have had major cravings, feelings of hunger, and just frustration with it all. But that’s what a “challenge” is, isn’t it? Hard, frustrating at times, maybe even…challenging? Haha! However hard it has been, I’ve been moving forward head-strong and living it up. Whole grain everything, oil-less vinaigrettes and “stir-frys,” large salads filled with green leafy vegetables, legumes, and whole grains, Rip’s Big Bowls in the morning and baked tofu and vegetable sandwiches for lunch, I do it all! 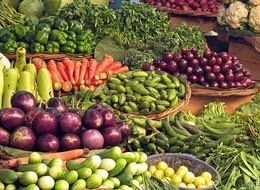 Diet is defined as the sum of food consumed by an organism. On day ten of this challenge, I decided to take a simple cholesterol and triglyceride blood test because I haven’t done so yet. 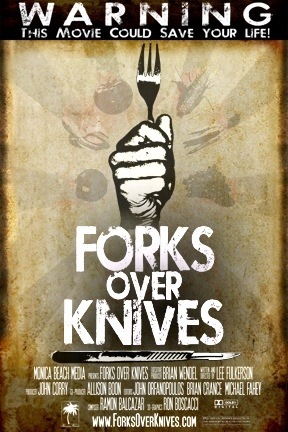 In order to see the best results from this diet, it’s all in the blood! After a 6-hour fast (and a Sonic dinner the night before), I took my test. I felt that let me try and produce a horrible test so at least I’ll definitely see how good this diet can be. Being that it has only been ten days on this challenge I didn’t expect much. Well was I wrong! I won’t share the exact results but let me put it this way, never, in my wildest imaginations would I ever think my total cholesterol would be that astonishingly healthy. In less than two weeks? No! Remember, I ate all that crap in NY/NJ before hand and I had all the turkey, prime rib, sides, and desserts during the holidays. Other than me having to work on my triglycerides and HDL, it was still at a “average” rating. It was minimal work that I had to do in order to get those two scores better. Now I won’t share the results with you, I just want you to believe me. This darn diet WORKS! I am currently at 244 pounds (6 pounds lost since the 16th) I am clinically obese, have a BMI that would have doctors worried, and have a family history of Type 2 Diabetes. I am definitely unhealthy and need a change. I will have to advocate that THIS IS THE CHANGE I NEED! And if these results are what I am looking forward to at the end of this, maybe even for the rest of my life, why not? I can’t wait to share my final results with you all. I’m excited to know that you will all be shocked. If you’re interested in this diet and all the results that a whole food, plant-based diet has to offer, contact me. I can provide you will all the materials to better inform you and hopefully change your life. It has changed mine for sure! SHOP AT WHOLE FOODS MARKET FOR SOME WHOLE FOOD! NEED A BUDDY FOR SUPPORT? CONTACT ME!